John Edward Martin waltzed into heaven on April 20 2014. He was born January 20,1947 in Three Rivers, Texas to Eva Maxine Rodgers and Dewitt Clinton Martin. He spent his younger years in Texas with his beloved Papa and Grandma on a ranch called Ray Point. When he was 12 he lost his Grandma so he came to live in Arizona with his mother. 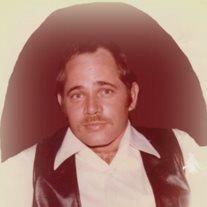 He loved the outdoors, hunting with his hounds, camping, boxing, karate, dancing, and football. He served in the Navy 1962-1970 both as an active and reservist. He served on shore duty in Vietnam for two tours. He worked at Mountain Bell Telephone throughout the years until it was turned over to QWest. He retired in 2000 after over 28 years as both a lineman and router. Preceding him in death is his Mother, Father, brother Butch Martin and daughter Kimberly. He was a loving husband, Father, brother, uncle and Papa. He is survived by his wife of 31 years Jeanette. Sons, Clint (Kimberly) Martin, Rick Charon, Daughters Melissa Veres, Melanie (Karl) Menhennett. Sister Patsy (Bill) Brooks and 11 grandchildren. Three special nieces Rene (Randy) McFall, Sherry (Mark) Novad, Donna Garcia, and numerous nieces and nephews. A Memorial Service will be held at 11:00 AM, Friday, April 25, 2014 at The Church of Jesus Christ of Latter-day Saints, 5620 E. Adobe St. in Mesa, Arizona.